Designed by Mustapha Fahmi with a Bahri Mameluke style, the Refa'i Mosque faces the Sultan Hassan Mosque and is named after a Muslin holy man, Shekh Ali Abu El-Shoubak who is buried here. The mosque was completed in 1912 by Max Herz Pasha and was constructed at the order of Khoushiar, mother of the Khedive Ismail. 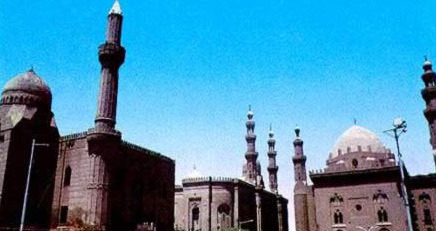 The mosque also became the Royal Crypt of Egypt's last dynasty. It was built on the former site of the Sheikh ar-Rifa'i zawia and covers 75,350 square feet.